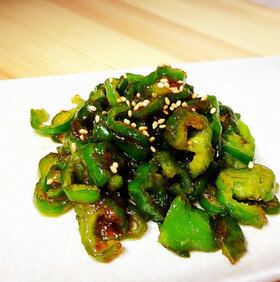 green pepper in a lunch! I cut it every 5mm. ※ I cut it aside. I wave a bag and mix it. I serve it in a container. You should make taste sweet and eat a child.